Vibescout, an innovative start-up that provides event listings and city guides, is now listing movies showing on 690 screens in 94 cinemas across South Africa. Vibescout is now officially the largest movie aggregator in South Africa and continues to take the country’s entertainment scene to new heights. Cape Town, South Africa, July 5, 2017 – Co-founded in 2015 by brothers’ Paul and Jonathan Myburgh, Vibescout’s vision is to provide an easy-to-use platform used to smartly curate the best things to do near you. This is done through event listings, comprehensive go-to guides and now, movie listings. The idea behind Vibescout was first born when Paul was travelling in Saigon, Vietnam in January 2014. After visiting all the regular tourist destinations, he scoured the hostel notice boards for more unique things to do and began to wonder how he could get better insight into truly local events and activities. After realizing there was definitely a void that needed to be filled in this space, Paul brought the idea back home to South Africa later that year and soon began work on Vibescout’s first version. Vibescout officially launched out of beta and started providing event listing in October 2016; by April 2017 they reached over 100 000 users for the month! 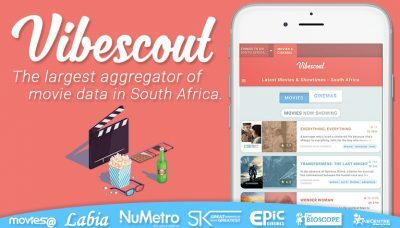 As of 27 June 2017, Vibescout became the largest movie aggregator in South Africa, listing movies showing on 688 screens in 94 cinemas throughout the country. “It took roughly 6 weeks to get a MVP release and from it we have had amazing user feedback. We are currently getting nearly 10 000 users weekly using our movie section to find the latest movies and locate cinemas around them. We didn't realize it at the time and such a goal wasn't even on our radar, but we are now officially the largest movie aggregator in South Africa.” JONATHAN MYBURGH, CO-FOUNDER OF VIBESCOUT Connect with or contact with us: Jonathan Myburgh - . . . 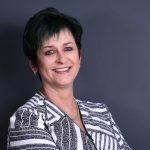 Despite various investigative reports on Carte Blanche and general media exposure, private property buyers are still getting caught by non-disclosed defects. Although the Consumer Protection Act (CPA) provides relief to most consumers by ensuring that a seller or estate agent discloses all defects, the CPA does not apply to one-off, private sales. These sellers are still protected by the old voetstoots clause. While a quick walkthrough and a second visit to the property for a spot check of the condition of the home can help buyers sift through their options and narrow down the property they would most like to purchase, it is best to have a professional inspector undertake a thorough check and advise accordingly. Eric Bell of Inspect-a-Home, (a professional home inspection company) warned consumers against signing a disclosure before getting the property checked by an accredited inspector. He said countless buyers nationally were left with extensive repair costs after signing the documents as they gave some consumers a false sense of security. “These documents ask buyers to sign off on a number of key areas, including roofing, geyser condition, and damp problems. Unless you are a structural engineer or qualified building inspector, it is highly unlikely that you or the seller will be able to identify any latent defects. Every day throughout the country we see houses that are painted to make them look good and unsuspecting buyers are then taken to the cleaners with extensive and unexpected repair bills once they have moved in – their dream house becomes a nightmare.” He said sellers were liable for latent defects that existed at the time of the sale but, by signing a disclosure document, buyers were signing away their rights to that claim, effectively making the defects the buyer’s problem. He gave an example of a consumer who bought his home through an estate agent who tried to get him to sign a disclosure document which stated that the house, . 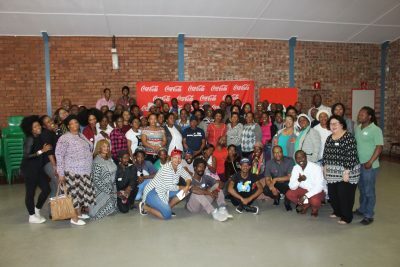 . .
82 informal traders from Kimberley were given training in the Coca-Cola Beverages South Africa (CCBSA) Grow My Business training programme on the 5th of May. This is all in efforts to equip them with tangible business skills for them to succeed in a tough economic environment. Coca-Cola Beverages South Africa, as a responsible corporate citizen, is committed to giving back to communities in which we operate by uplifting communities through different programs and initiatives which supports the government’s main agenda. The programs we are focusing on are; Youth Empowerment through education, Environmental Management and up skilling our South African informal traders (Tuck-shop owners and hawkers). 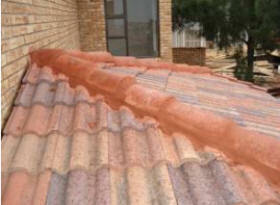 CCBSA plans to grow and service South African owned and operated tuck-shops in all the provinces in which we operate. This initiative includes informal traders in and around key focus towns in the Free State. The focus on informal traders is important as they play a big role in the South African economy and the revitalization of our townships. They are however, faced with challenges which include: Financial and equipment support, increasing competition, skills shortage and unsustainable business model. It is therefore important that together, Private businesses and Government come up with initiatives that will help improve how these informal businesses operate. It is for this reason that, CCBSA has decided to empower 1050 informal traders (hawkers) in the Free State with the support of the following Departments: Economic Development, Small Business Development, Tourism and Enviromental Affairs. We kick-started the programme in Botshabelo and Bloemfontein and have already trained 137 informal traders with basic business skills on how they can grow their businesses. The commitment to empower and uplift South African informal traders continues as we plan to train more in the North West District, Klerksdorp, Welkom and Bloemfontein. CLICK HERE to submit your press . 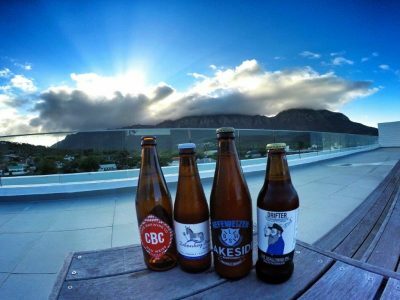 . .
Less than 2 weeks to the Cape Town Festival of Beer! South Africa’s largest and most popular beer festival, the Cape Town Festival of Beer is literally in touching distance. Happening in less than 2 weeks, the must attend event will be hosted at the Hamilton’s Rugby Club from 25 to 27 November 2016 and promises to be bigger, better and even more epic! The event boasts an extensive list of exciting activities for beer enthusiasts, connoisseurs, socialites or anyone keen on sharing a few cold ones with friends! Here‘s our list of top 5 reasons why you should not miss the festival: Beers galore: Expect over 200 different beers from 60 breweries from top notch international and local breweries - with limited edition beers brewed just for the Festival. Delicious food: a wide variety of amazing food options from, Celeb Chef and MasterChef SA Judge Pete Goffe-Woods kitchen cowboys to popular burger joint Hudsons as well as RAITH gourmet Rugga action: it’s the ideal spot to watch the Springboks vs Wales. Rugby fans can catch game at 19:30 on Saturday on big screens at the Festival! Tables can be booked at info@capetownfestivalofbeer.co.za Entertainment: catch popular Pop-Rock band Watershed live on stage on the Friday Did we say there will be beers: 200 different beers and ciders to be exact This is certainly one event you won’t want to miss! To avoid having any sort of “FOMO” head over to www.webtickets.co.za to purchase a ticket - you will get a free beer mug along with your ticket for only R150. Event details: Date: 25, 26 and 27 November 2016 Operating times: Fri 12:00 - 23:00 Sat 12:00 - 23:00 Sun 10:00 - 18:00 Venue: Hamilton’s Rugby Club, Green Point Price : R150 for adults and R50 for children (under 13 years) Tickets Available from www.webtickets.co.za For more info on the festival, visit: www.capetownfestivlofbeer.co.za or pop onto the various social media platforms and keep the conversation brewing… Facebook: www.facebook.com/CTFOB Twitter: . 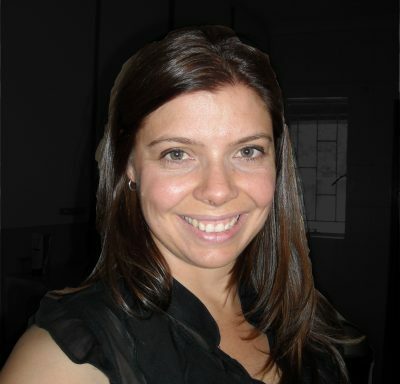 . .
Senior Landscape Architect, Lizelle Wolmarans at GIBB, one of South Africa’s leading black-owned engineering consulting firms, presented a paper on child safety in playgrounds at the three-day Congress for the Institute of World Urban Parks (WUP) and Environment and Recreation Management (IERM) in Cape Town last month. Leading parks professionals and parks agencies from around the world resolving to protect and enhance the world’s urban parks and green spaces in the face of looming global challenges was present at this Congress. The paper, titled Risky Play and Children’s Safety: Balancing Priorities for Optimal Child Development focused on the construction of playgrounds, safety and safety standards of equipment used in playgrounds as well as the influence it has on physical and mental child development. Play experts such as Environmental Psychologists, Child Development Specialists, Landscape Architects and Educators are advocating a re-assessment of the play environment. While the safety of children should never be neglected, Wolmarans explained the dangers of being over-protective as potentially detrimental to a child’s development. “Our environment is not without risk and therefore, we need to learn how to manage risk continuously as a survival skill. However, where risk is eliminated from playgrounds, challenge is eliminated leading to boredom where children may potentially feel the need to take excessive risk using equipment inappropriately that can cause unintentional injury,” said Wolmarans. South Africa has adopted the international playground safety standards, these standards are not legalised but serve as a guideline to prevent hazardous risks. Locally, our decisions need to be influenced by security, economy and future sustainability. In the case of security, it is a fact that children are living in dangerous environments in their homes and neighbourhoods. Some of the dangers are traffic, kidnapping, crime and drugs. Supervision and . . .
South African Based Startup Launches Social Media App And Boycotts Photoshop? Cape Town, South Africa – October 20 2016- #CNNiReport – TGIF Zone has taken a bold step by launching its new mobile social media application TGIF for Android and IOS. TGIF “Thank God It’s Friday” is an application that allows users to share their images with their followers with a small twist, once a picture has been taken or uploaded, it is blurred and cannot be altered in any way only allowing the user to choose whether or not they would like to share it with their followers. TGIF is intended to give the general public a chance to share precious memories and still maintain the original moment. It is aimed at allowing users to share what they like with a build up that in turn makes Fridays very memorable. Unlike other social media mobile apps, TGIF doesn't allow users to like or favorite pictures. Instead it lets them add other users images to their trays and in turn shows them to their followers whilst saving them from being deleted for another week. This all contributes to a picture sharing experience unlike any that has been available on social media. It has simply given a whole new meaning to social media picture sharing that goes against the norm. Some may think that something that you cannot alter to your liking is simply not ideal for such an application, especially one that doesn’t allow you to see them unless you use a “selfie camera”. TGIF Zone Co-Founder Panashe Muzamhindo has clearly stated why he believes this is the key feature that will separate it from the rest and give it an edge. “When you look at it, social media has created an unrealistic ideal image for everyone,” said Panashe. “See, whether you’re a stay at home mom or a gym coach, an industry standard has been set to tell you exactly how you should look which has been exaggerated by the ability to enhance these images. There was a time when a moment could be shared and appreciated in its raw state with all its imperfections; that is what we strive for.” TGIF is available on the . . . If you think that dagga is a dangerous narcotic, then you have been duped through propaganda. Dagga is as traditional to SA as biltong, boerebeskuit and witblits. It fascinated JV Riebeeck and missionaries extolled its virtues. It grows like a weed, is medicinal in its natural form with a lower potential for harm to self and society than sugar. Supported by science (endocannabinoid system), legal in 24 USA states with 200 million US citizens having access to it as medicine (endocannabinoid system) + populations of 11 other countries. Deaths from opioid overdoses has also dropped by up to 25% in states with legal dagga. The current 'war on drugs' is a broken system. It's a war on people and does little to protect anyone from substance abuse. It's the same mentality that was used to justify enforcing the mixed marriages act, where the offender is also the victim. A perverse incentive to put people into prison. From physical prison to social prison with a subsequent criminal record. 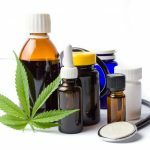 You will find plenty of peer reviewed studies, medical professionals (Joycelyn Elders, Andrew Weil, Lester Grinspoon, Deborah Malka, Sanjay Gupta, Abrams, Suzanne Sisley, Denis Petro, Ethan Russo, Uma Dhanabalan, Jeffrey Block, Bonni Goldstein, Juan Sanchez-Ramos..) who support dagga as a therapeutic plant. In SA, the Bobby Greenhash foundation PTY is supplying dagga oil to people suffering with terminal diseases. Their testimonials to the healing power of dagga is worth a read. The SA central drug authority (CDA) has also called for the decriminalization of dagga and a recent study they commissioned, concluded that dagga kills cervical cancer. Vilifying dagga and then using that stance to 'protect our children' is pointless. Rather fact based solutions (science) focusing on harm reduction through healthcare and education, as recommended by the SA substance abuse experts, S Kelley and Quintin Van Kerken. Better that control of dagga is removed from the streets and regulated . 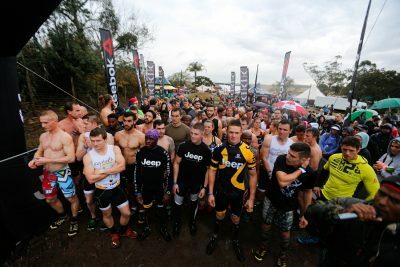 . .
21 SEPTEMBER 2016, MPUMALANGA – This weekend, Kwanyoni Lodge in Nelspruit, is the host for South Africa’s top Warriors tackling Round 6 the country’s biggest obstacle races, the Jeep Warrior Series, powered by Reebok, taking place from 24 to 25 September 2016. A mere 16 km from Nelspruit, Kwanyoni Lodge will be packed with thousands of athletes who have entered to race over various course distances packed with obstacles, testing strength, skill and endurance, whilst having the most fun with family and friends. Nelspruit’s Kwanyoni Lodge is a new venue, which won a nationwide vote for new venues to host Jeep Warrior Races. It is described as a hidden jewel in the picturesque citrus valley of Alkmaar and is home to South Africa’s "Big 5". Says Jonathan Hart, Advendurance event organiser and Jeep Warrior Series Course Designer, “The Jeep South Africa #Warrior6 powered by Reebok caters for all fitness levels and age groups. Kwanyoni Lodge is a fantastic venue and offers comfortable accommodation for the entire family. Bring your crew along as there is much fun to be had! There is something for everyone, including a Bratz Race and Bratz child-minding zone. Bring on the weekend!” Warrior Bratz caters for children ages 4 -12 years old, covering a distance of 500 metres; with 8 obstacles aimed at challenging the little athletes. Parents/guardians are welcome to accompany their children through the course, but may not attempt the obstacles themselves. Warrior Rookie is the perfect introduction to OCR for athletes 10 years and older, offering up to 15 fun obstacles over a distance from 5 to 8 km. This race is great for team building as well, plus if you’re unable to complete an obstacle, a 20-burpee penalty will see you on your way. Warrior Rookie Elite is for those that compete for prize money and there are no substitute penalties. All obstacles have to be completed. Warrior Commando is for those seeking a greater challenge and who want to test . . .
13 SEPTEMBER 2016, JOHANNESBURG – It is less than a month until the world’s top OCR athletes fight it out at the third OCR World Championships from 14-16 October 2016 at the Blue Mountain Resort, Toronto in Ontario, Canada. Jeep Team athletes, Thomas van Tonder and Carina Marx, have both qualified and have been in full Warrior mode ahead of the World Championship. Both Van Tonder and Marx were on fire at the recent Battlerush OCR fundraiser, a gruelling OCR Training event designed to push athletes through tough individual obstacles that may be seen at the World Champs; and both won the Savage Beast race at The Beast OCR event this past weekend. To have qualified for OCR World Champs, South Africans need to have achieved a Jeep Warrior Top 20 finish in an Elite category in their gender, or an Impi Challenge Top 20 finish in the Elite division in their gender. Van Tonder, over in the past 12 months, has achieved three 1st places, six 2nd places, and one 5th place. Marx, over the same period, has achieved four 2nd places, four 3rd places and two 5th places. Both athletes are well qualified for the Championships but won’t know how they truly compare against the rest of the world until they are neck deep in mud in Ontario. The OCR athletes selected for Team OCR South Africa to go to World Champs is Thomas van Tonder, Bradley Claase, Michael Joubert and Claude Eksteen (not going) for Men; and Hanneke Dannhauser, Carina Marx and Trish Bahlmann (not going) for Women. Joining van Tonder and Marx in Canada, is fellow Jeep OCR athlete, JJ Deysel, who was not selected for the SA OCR Team, but will compete in other races over the Championship weekend. According to the event organisers, the OCR World Championships will put the world’s top athletes through the ultimate physical and mental challenge across a series of obstacles over a distance of approximately 13km and will marry natural elements with some of the most challenging obstacles in OCR . . .
Samsung underlines its commitment to Europe and unveils new products and partnerships for the European home appliance, visual display and home entertainment markets JOHANNESBURG, South Africa – 1 September, 2016 – Samsung Electronics Co., Ltd. used its IFA 2016 press conference today in Berlin to demonstrate how it is redefining the consumer experience, showcasing a range of new products and partnerships for the home appliance, visual display and home entertainment markets. “At IFA 2016, we want to show delegates how we are continually striving to revolutionise the Samsung experience for all our customers and partners - and across all our product lines, from television and home audio to home appliances. Everything Samsung creates is borne out of our determination to enrich peoples’ daily lives with innovative technology, based on a deep understanding of what consumers really want and need,” said Matthew Thackrah, Deputy Managing Director Samsung South Africa. Committed to Europe’s Potential During the press conference, held in the CityCube at Messe Berlin, Samsung reiterated its commitment to Europe, employing 14 000 people in 34 countries. Samsung’s products are infused with European flair, fashion, design and the finest traditions of manufacturing excellence. With Q2 revenue up five percent year on year, seven out of 10 European households owning a Samsung mobile phone, as well as one in three families watching their favorite shows and films on Samsung TVs, the company believes now is the right time to invest even further in Europe’s potential. In keeping with this commitment, Samsung announced a new partnership with MakerBot, the global leader in 3D printing, which will equip schools, colleges and museums in five European markets with 3D printers, as well as train teachers and students alike in the use of the technology. With more than 100 000 MakerBot printers around the world, it represents the world’s largest 3D printing community and an . . .